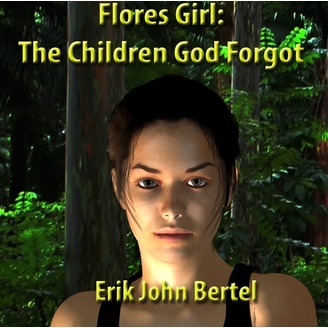 There is something in the jungle of Irma Flores that has terrorized Sarah for years. As a scientist she needs to know what it is and by confronting this evil she is about to be awakened from her nightmare. She doesn’t know it but she will also begin her first faltering steps toward enlightenment. Along the way, she will have to contend with a strange dwarf people, pirates, corporate raiders and an obstinate lover. Her road to nirvana will be a raw and bruising journey that is certain to be both entertaining and moving for the listener. The media eagerly made the startling announcement about the unique hobbit fossil find and the existence of hobbit human relatives on Flores Island 16,000 years ago, prehistoric survivors that seemingly went extinct just a few short years ago. Only, the scientists were dead wrong! They are still alive today and two American scientists are going to discover them and unwittingly they will introduce this tribe of small, archaic people to the ultimate modern predator: humanity. These three-foot tall bipeds are not the Hobbits of the JRR Tolkien's stories, but a small tribe of dwarf prehistoric people, Homo Floresiensis, living in seeming isolation for nearly a half million years on the Indonesian tropical island of Irma Flores. In their unrelenting quest for knowledge, Sarah and Richard inadvertently expose these innocents to the onslaught of the modern world including corporate raiders, Indonesian pirates and ardent religious zealots. In the process of discovery and befriending these ancient people, Sarah and Richard must survive a serious clash of divergent personalities while rediscovering their own humanity and need for love. This is their adventure, combining a clash of cultures, religious ardor with the oldest stories of all: the meaning of friendship and true love. This as a rousing, humorous adventure novel with serious undertones about our very definition of humanity, and how we treat the other sentient creatures that share our small planet. 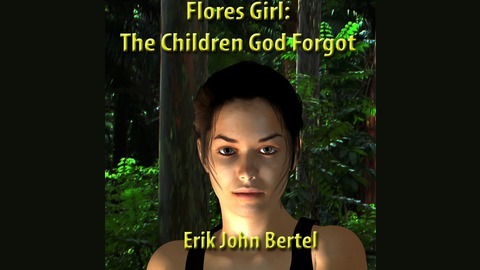 Many elements within the novel have a strong connection with the topical issues of today ranging from Creationism, the environment, stem cell research and finally to the voracious appetite of our ever expanding consumer economy. Moreover, the so-called Hobbit people described within the novel, locally known by Flores natives as the Ebu Gogo, are being searched for by scientists in Indonesia as we speak. This story is so gripping that both "Sixty Minutes" on CBS and. Sarah and Richard must fight their way off the island in this final installment of the podcast.